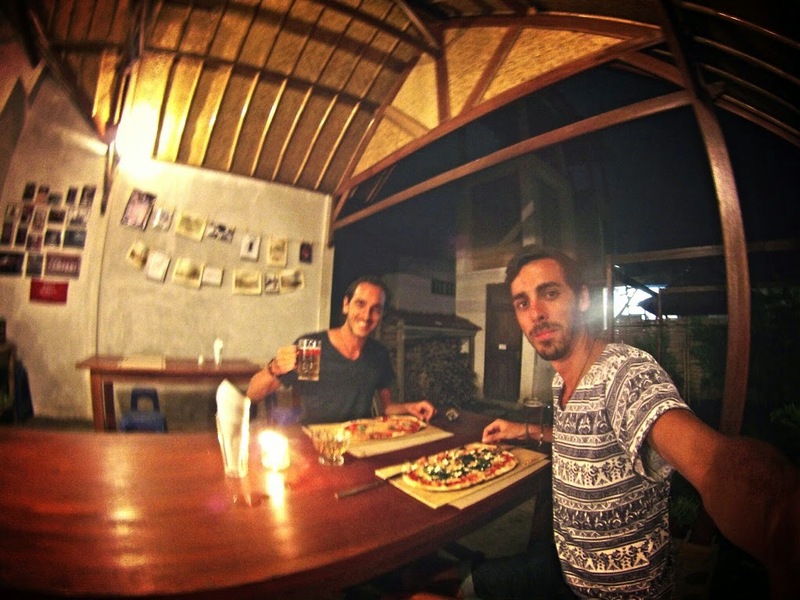 ﻿﻿﻿﻿ Last on the list was the second largest island, Gili Air and from all accounts it offers the best balance of the tranquillity and calm on Meno and the party scene on Trawangan. 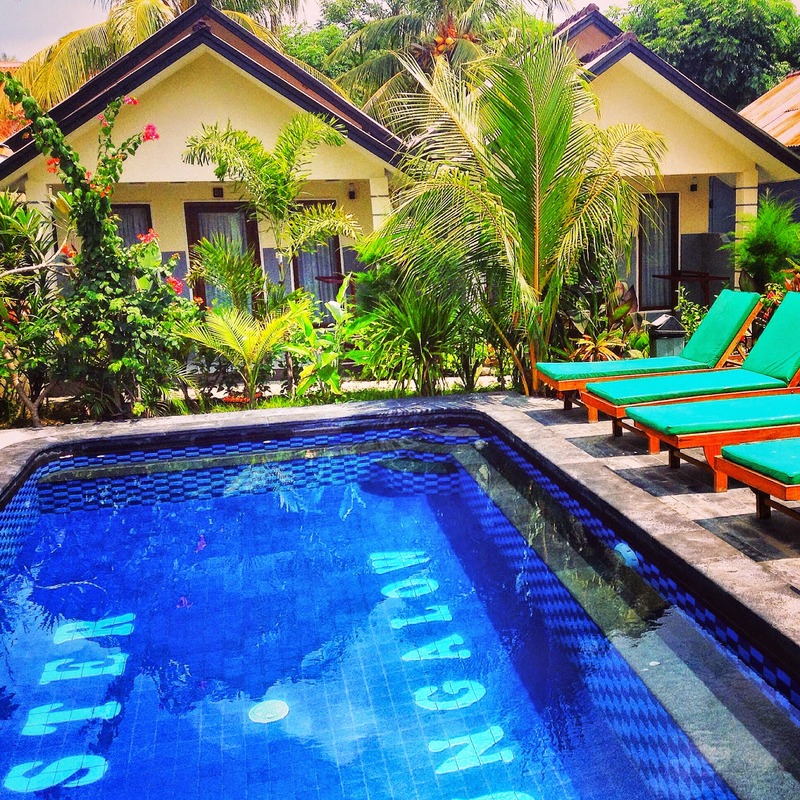 The honeymooners and families so prominent on Meno were now mixed with a healthy dosage of independent backpackers looking to take advantage of the upcoming full moon party. Air offers a lot more rock bottom budget options for accommodation with a few hostels and bamboo hut guest homes close to the ferry pier. We checked into the sibling themed “Sister Bungalows” and grabbed a twin room for 200,000 IRP per night (£10). It was a bit of a treat for our birthday as the place had its own pool. Not really a necessity when the sea is 800 meters away but a nice touch first thing in the morning and for ten Queen’s heads it’s still a good find on an island where similar location cost in excess of 500,000 IRP a night. A full walk around the island takes no longer than an hour and a half and the views are much like what you can see on the other islands except you tend to get slightly better views of Lombok’s Mount Rinjani. In the heart of Air Jono and I stumbled across a great little furniture factory. 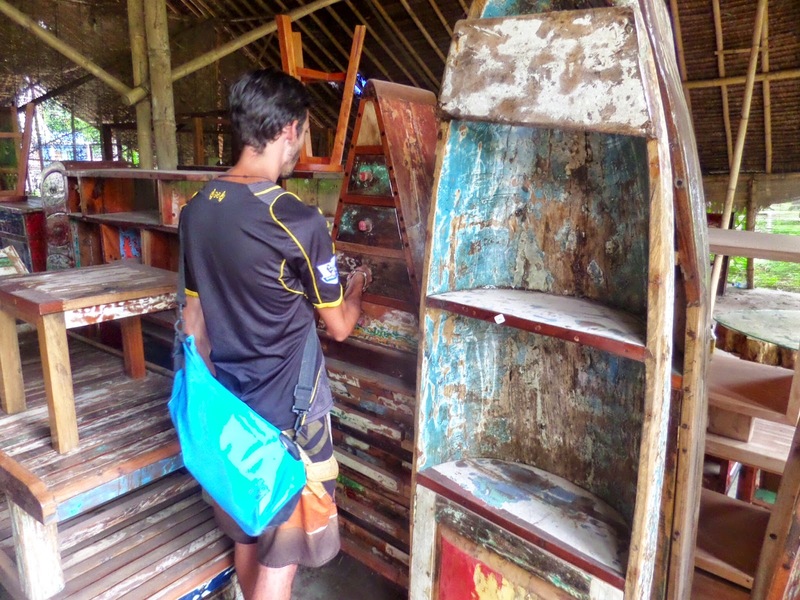 The locals running the place specialised in recovering damaged fishing boat parts and up-cycling them into interesting bureaus, tables and wardrobes. Even though we’re brothers I’ve noticed that no matter where Jono and I go. Whether it’s the Mongolian steppe, a tropical island paradise in Indonesia or Amsterdam’s famous red light district he is always at his happiest whilst admiring another cabinet maker at work. You show him a unique artefact and he will be mesmerised by the carvings on the bureau showcasing the item. 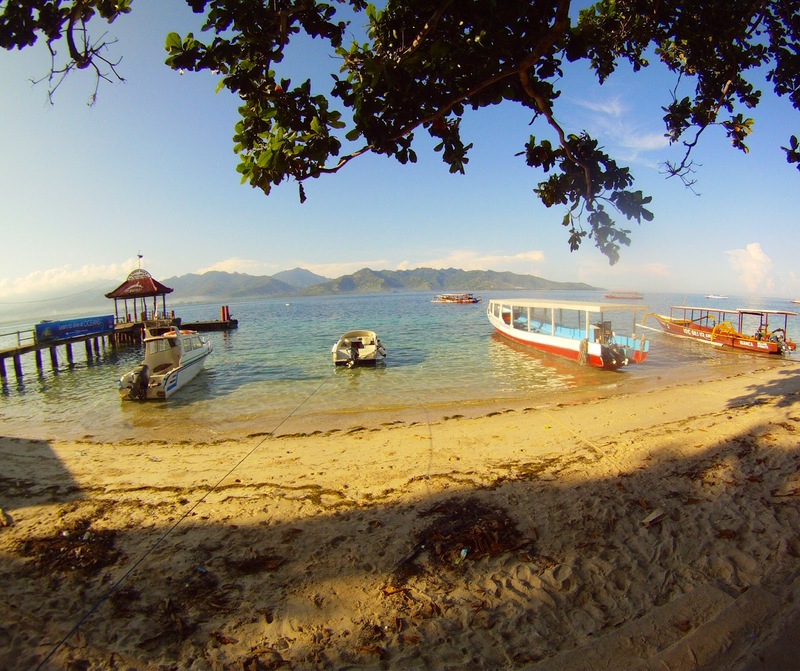 As with Gili Meno we focussed on taking advantage of the islands close proximity to a surrounding reef and do more snorkelling. 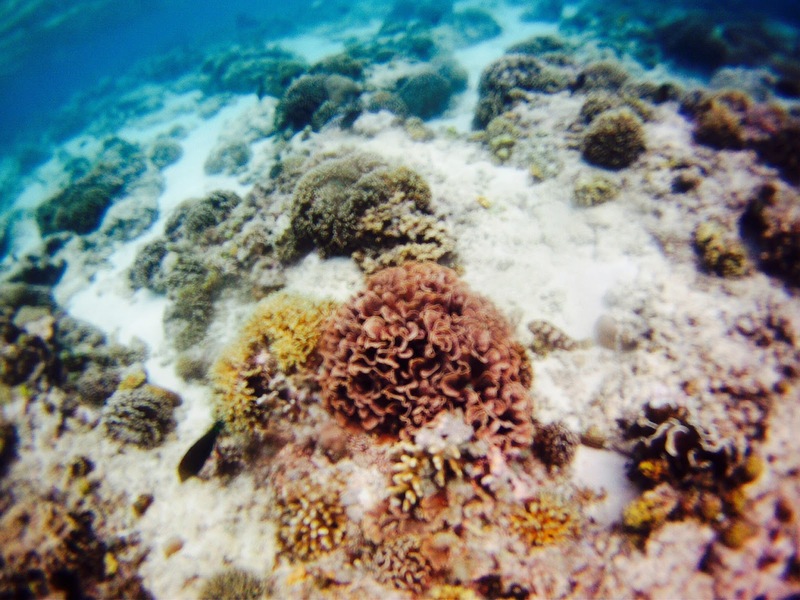 We managed to see the same abundant array of sea creatures we witnessed on Meno. 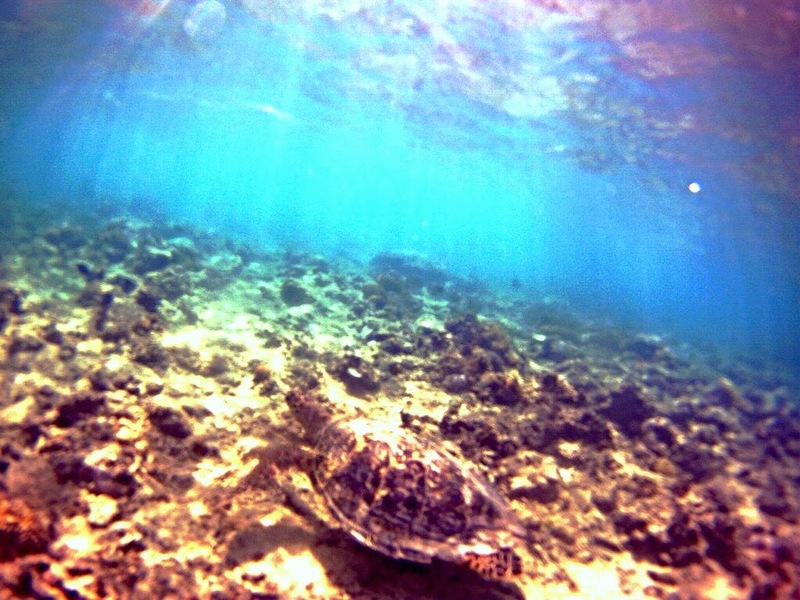 The visability on the North East side wasn’t as clear as on Meno due to the stronger current between Air and Lombok but we still managed to see a lone turtle. We turned 27 on April 2nd and after spending a day sunbathing, snorkelling and reminiscing about our adventures over the last year we decided to scour the island for some home comfort food. The cabinet maker we met recommended us to try a French themed café called “Le Cirque”. 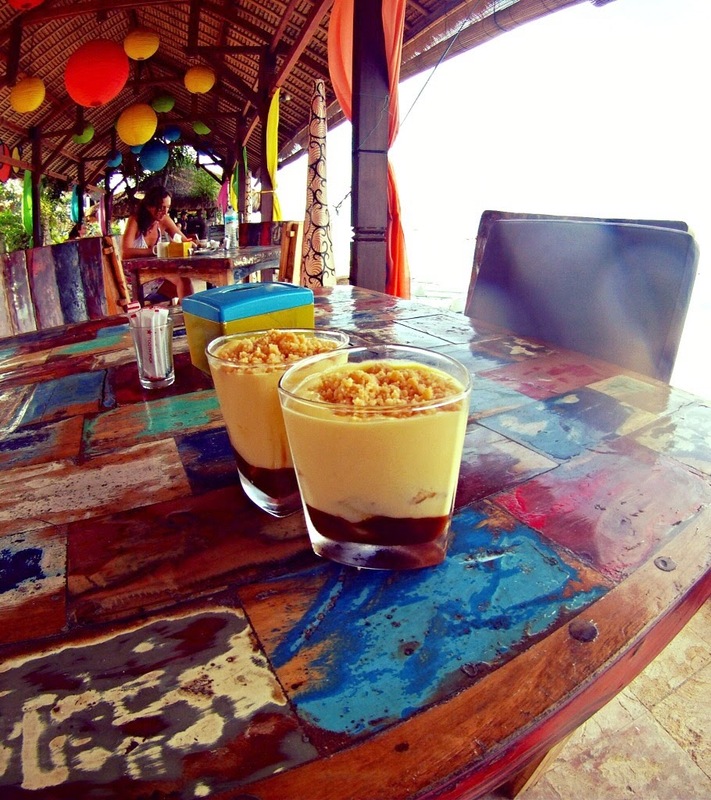 This beachside hangout is a little bit pricey when compared to locally run warungs but with a great selection of cakes and desserts it was as close as getting a birthday cake as we were going to get. Good desserts are hard to find in this part of the world and a daily helping of banana pancake can never compete with a dollop of banoffee or white chocolate & raspberry sponge. For Dinner we stuck to our western cuisine cravings and visited “Classico Italiano” for a classic Italian. The place was a little hard to find (tucked away in a backstreet close to the ferry pier) but there are signs to help. The Italian owners have stuck to their roots here as the place is home to a proper wood burning oven and traditional topping combinations with a slight Asian edge as I found out with the chilli rich diablo pizza. If that wasn’t enough they even sell a dessert pizza topped with Nutella, FANTASTICO. 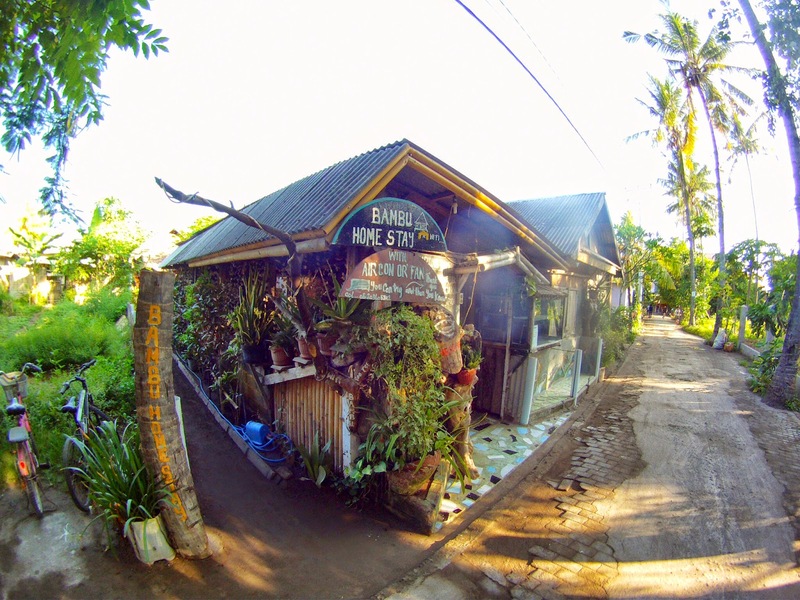 If you want to avoid western dishes then a great place to visit any time of the day is the small warung outside “Bambu Homestay” (close to sister bungalow on the main street inland opposite the ferry pier). So far on our tour of Indonesia the food has been exceptional but sometimes there is only so much nasi goreng and mie goreng (rice and noodles) dishes one can take. The staff at Bambu have the solution in a dish called “Murtabak”. It’s a fried pancake stuffed with meat and vegetables and it top notch backpacker grub and a good way to power the furnace for the rest of the day. If you’re missing pies and pasties look no further. On the eve of April 3rd we headed over to Zipp bar for the full moon party. Now we had heard about the full moon in Thailand but due to poor timing (Xmas & New Year bedlam) and not planning ahead we missed out and were looking to make up for it on Gili Air. The party was ok but considering Gili Air was supposed to be the place to head to it didn’t really seem like the staff had noticed the great glowing disk in the sky. Sure they had put signs up but as far as we could tell the local’s idea of a party seemed to consist of cranking up the tracks on the overused Bob Marley CD to eleven, throwing in a bit of UB40 and hoping for the best. Maybe it was the time of year. I mean it is still low season and perhaps a few hours of house or trance isn’t what most of the honeymooners and family holidaymakers had in mind. They even ran out of large bottles of Bintang at 8pm, I mean what the hell is that all about. I’d understand if it was at around 11:59pm but at 8pm people were still tucking into their overpriced fruits of the sea platter and trying to communicate with the staff by shouting English words louder than necessary. After one final day of snorkelling it was time to move onto Lombok and despite the slight disappointment of the Full Moon Party we both looked back on our stay with great memories. I can totally see why these islands are popular the world over. If you look at the archipelago as a whole there is something for every species of traveller. The death penalty doubters can enhance their addictions on Gili T, the crowd cowering conscious can seek refuge on Gili Meno and of course the hairy hemp huggers can find a “quiet spot on the beach” in Gili Air (but still in front of a bar so people can watch) and view the setting sun over Bali whilst getting cheap sexual thrills by stretching into the shitting giraffe yoga stance.